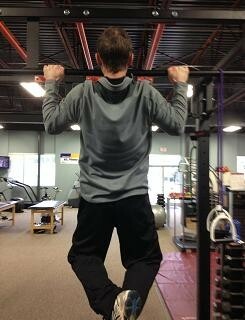 It’s an exercise that needs minimal equipment (a bar), and your body and it is one of the best upper body movements anybody can do: without further ado, It’s the Pull-up!! It’s an exercise that should be in any training program, regardless of whether the goal is strength or physique oriented. There’s no better test of real-world strength and getting strong at pull-ups will have carryover to all other major lifts. They’ll also add serious muscle to your lats, traps, rhomboids, biceps, and forearms, and if you control your lower body, even your core. It stands to reason that the more unnecessary body weight you’re carrying (i.e., body fat), the weaker you’ll feel and the less work you’ll be able to complete. It’s like putting on a weighted backpack – you’ll do a lot fewer reps with the weighted pack on than without it. 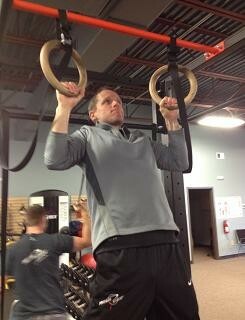 Plus, you may not even be able to complete a single full chin-up without assistance. That imaginary backpack represents the real-life performance limitations of carrying around an extra 5, 10, 20, or more pounds on your body. And, when you lose the extra fat (remove the weighted backpack), your relative strength automatically increases, which means your chin-up and pull-up performance potential automatically increases. For female’s looking to look better, improve strength and performance getting an unassisted pull-up-chin up is an awesome accomplishment and is something not many women can do. Were changing that sentiment though here at Precision Fitness. When you do one or multiple reps it will raise eyebrows from fellow gym-goers!! 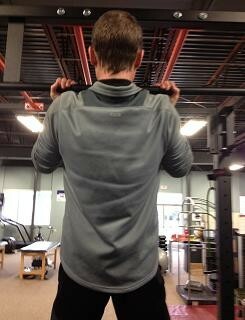 Last Fall Josh and I set out on a high frequency training routine that consisted of a lot of Pull-ups! 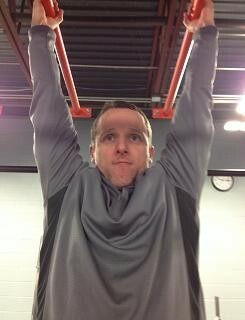 In 28 days we started with 25 pull-ups the first day and ended with 52 the last day. Totaling 1078 Pull-ups. So it is clearly an exercise that can be performed frequently and has a huge carryover to any number of fitness goals. For us it packed on muscle in our Lats, forearms, biceps and upper back and we got a lot stronger! 3. 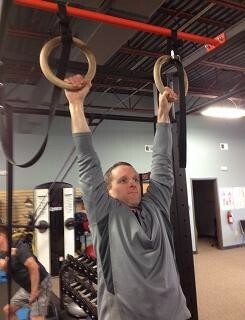 Slow eccentrics(negatives) or Iso Holds. Hold yourself over the bar for time. Neutral Grip– Great for beginners, easiest on the elbow joint and shoulder joint. 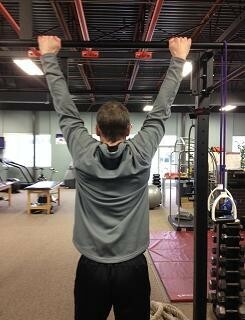 Supinated Grip (Chin-up) Works the biceps in this position, but can be problematic for people with elbow issues. 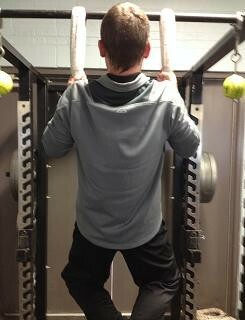 Pronated Pull-up– Works the Lats really well in this position. Can be problematic with people with shoulder issues. 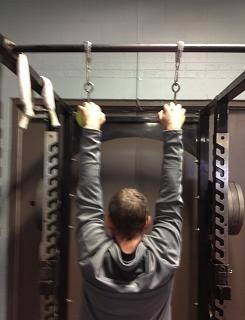 Softball Pull-ups – this is an advanced version that is challenging. 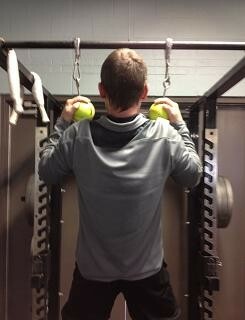 Works the forearms and allows the wrist to rotate freely. 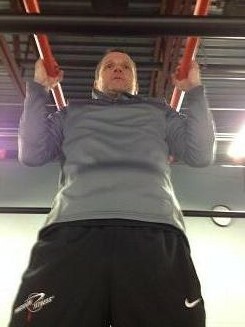 Towel Pull-ups – this is similar to the Softball Pull-ups. 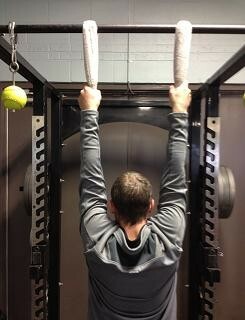 Challenging on the forearms and keeps the wrist in a more neutral position. 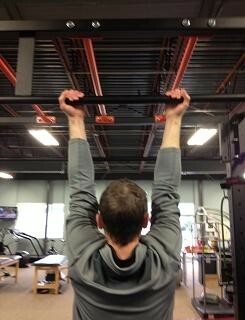 Ring Pull-ups – the rings are a great way to combine motions at the shoulder to provide stability and strength at the same time. These may be the easiest on the elbow and shoulder joints as the wrist can freely move.